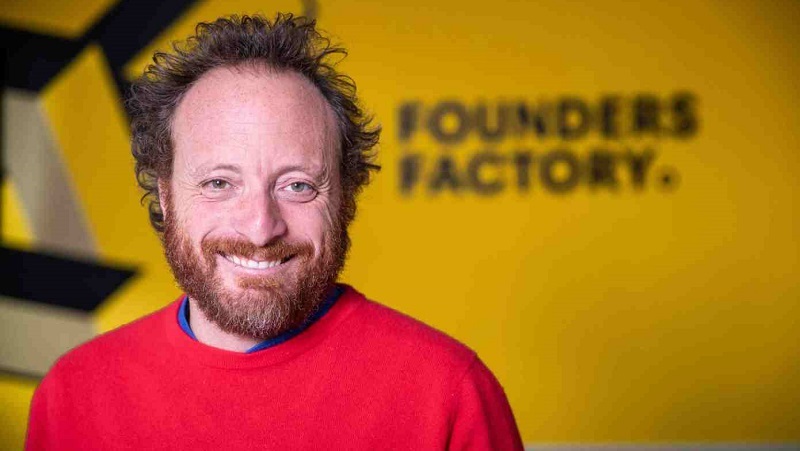 The head of UK-based Founders Factory‘s new Africa unit, Roo Rodgers, says his venture builder and accelerator is no Rocket Internet — as it’s focused on building totally novel companies and not copycat firms as the controversial German venture builder company is often accused of building. This, after Founders Factory Africa last week issued a call (see here) saying it was looking for a CEO to help build a fintech business called Project Nelson, which is aimed at helping low-income workers to essentially factor their salary and in so doing avoid having to approach loan sharks. In October last year Founders Factory announced the opening of an office in Johannesburg that would build and scale 100 tech startups across Africa in the next five years (see here). Rodgers told Ventureburn in a call last week that the accelerator is very different from the controversial German venture builder. “Rocket Internet goes into new markets and imitates other businesses. We build businesses from the ground up,” he said, adding that he’s no fan of the Rocket Internet model. 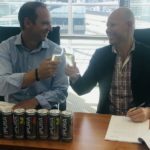 Reads a press statement that Founders Factory Africa sent to Ventureburn: “Together with its first corporate partner, Standard Bank, and the network effects of the successful Founders Factory in London, the local team is on the hunt for a CEO for a business that’s ripe to be brought to market”. Rodgers explained to Ventureburn that in this example, the CEO (which he calls an “entrepreneur”) will get a stake of between 30% to 40% of Project Nelson to ensure that they are “well motivated”. The stake can increase if the candidate is able to invest some of his own capital in the firm. The shares vest over a period of four or five years, which Rodgers described as standard practice in the investment world. The remaining 60% to 70% share would be held by Founders Factory, which includes Rodgers and his investors (Rodgers did not explain who the investors all are, saying only that the company had a “complicated operating model”). He said the idea is that the CEO will together with a team that Founders Factory has already hired spend six months to build the business. The CEO must ensure that after six months there’s a product and plan to go to market in the following three to four months, he added. So far Founders Factory has hired 14 people — including data scientists, marketing representatives and programmers — and Rodgers says the plan is to grow this team to 40 in the next six months. The ideal candidate, he said, would be someone who has experience in finance and the area of payroll, has a run a startup before, has managed teams and has experienced building technology. Meanwhile Founders Factory Africa had by last Wednesday (6 February) received 256 applications so far for the accelerator side of the organisation, since opening applications in October last year. So far, three firms have been accepted into the accelerator — one from Kenya and two from Nigeria. Two more will be chosen in the next two weeks, by which time Rodgers expects to release the names of all five chosen. Since Founders Factory was founded by Brent Hoberman and Henry Lane Fox in the UK in 2015, the accelerator and incubator has helped over 70 companies (a third of which were built by Founders Factory from scratch) to secure about £120-million in equity funding. Rodgers pointed out to Ventureburn that those firms that were both built from scratch, as well as those that were accelerated have performed 20% better than the market. Rodgers, who has worked on and off in Africa over the last 20 years (including having run Spring accelerator‘s East African chapter until August last year) said he sees “huge talent” on the continent. “I think Africa is one of the most exciting continents to be working for,” he said. Why then, if he reckons the continent has all the talent, does Rodgers feel his organisation should be involved in venture building? Will it produce better returns for Rodgers and his investors than helping entrepreneurs to accelerate their existing firms? It’s not clear. Read more: Is Silvertree’s co-entrepreneur model the answer to Silicon Valley?